This piece was written by Austin Henshaw. In response to sexist and racist remarks left on whiteboards in university residence halls, Michigan State University has chosen to ban whiteboards after this semester, in yet another example of the illiberal response of universities to offensive speech. As somebody who previously served as a Resident Assistant in the residence halls as an undergraduate student, I can attest to the fact that unfortunately whiteboards in the residence halls can be used for reasons many would find objectionable, including people drawing penises on whiteboards, especially when students came stumbling back drunk at 3 AM. As annoying as I found this, I would have never advocated for banning whiteboards altogether, as they are often used to leave amusing notes or messages of support for students as well. My students often left amusing messages for me when I was out, an experience I wouldn’t want to be taken away from others based off of the actions of a few. Under the 1949 Geneva Conventions collective punishment is considered a war crime. “No general penalty, pecuniary or otherwise, shall be inflicted upon the population on account of the acts of individuals for which they cannot be regarded as jointly and severally responsible.” While I’ll acknowledge offensive messages on white boards aren’t nearly the equivalent of war crimes, I believe the statement here should still apply. It has been argued group punishments, oftentimes employed by educators, increase resentment towards authority by innocent students while doing little to address the behavior that is considered problematic by the minority of students. For the record I do find legitimately sexist or racist remarks to be objectionable, and many university Departments of Residence do have “Codes of Conduct” students sign where they consent to being subject to university judicial procedures for behavior found to be in violation of the student Code as an agreement for living in the residence halls. Since university sanctions are oftentimes argued to be “educational” or “pedagogical” in nature and don’t carry the same punitive punishments as cases done in the traditional criminal justice system, the “preponderance of evidence” standard is often used and justified by administrators in these cases. 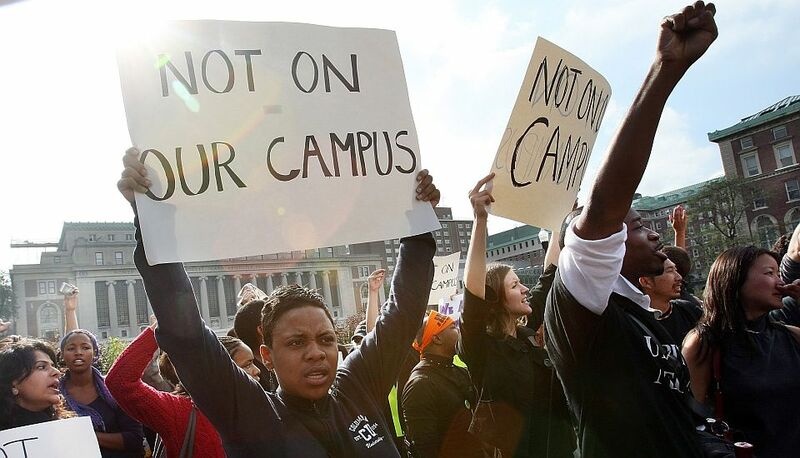 Unfortunately, while campus proceedings don’t result in jail time or a criminal justice record, the punitive effects of being found guilty in these proceedings, oftentimes without the due process afforded to those in the criminal justice system, can be just as punishing with the economic and social consequences of expulsion or suspension for offensives that would be considered minor in the criminal justice system. As somebody who worked in Higher Education for multiple years and has conducted judicial hearings for very minor offenses, I recommend an overhaul of the student judicial system and the reactive way administrators react to controversy on campus. I believe FIRE’s Guide to Due Process and Campus Justice provides a good framework for reforming campus judicial proceedings and would recommend campus administrators and those interested in campus civil liberties peruse it. A recommitment to intellectual diversity and allowing the marketplace of ideas will also go a long way in addressing the problem of the suppression of freedom of expression on campuses as well, an issue former President Obama has spoken about as well. The whiteboard incident I described here may seem small compared to the many issues we are currently seeing on campuses, but I believe it provides a perfect case study of the misguided efforts of campus administrators to protect students from harm while ultimately doing more harm in the long-run.